You can stop by any LIVE VIBE broadcast for a chance to WIN products from Port of Subs! BELLA is giving you a 2ft sub for lunch! Listen all week to win! 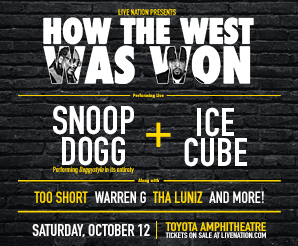 HOW THE WEST WAS WON TOUR!